Wet Fly & Nymph. 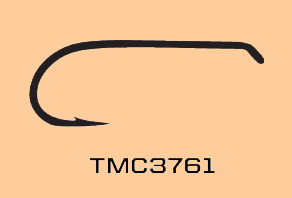 The same basic design as the TMC 3769, but this hook is 1X long for tying extended nymph patterns in a thinner profile. The longer shank hook also makes this hook a good choice for Bead Head nymphs. The longer hook shank gives tiers the same amount of room on the hook shank to use if they were not tying a bead head.